Staffs executive-level positions in industries including automated packaging, material handling and automation. We believe that people make the workplace. In our work environment, we honor and appreciate our employees and take good care of them so they, in turn, take great care of our clients and candidates. We value each employee regardless of his or her job duties. We offer interesting and challenging work with a clear path to career advancement, and never limit employee earning power. In addition, we've created a work environment that employees want to be in. Our workplace is one of trust, meaningful tasks, great opportunities, inspired workers, employee engagement, transparency, rewards, and recognition. Risk-taking is critical for innovation, so we encourage our people to take smart risks. We support new ideas and implement them when possible. Fresh ideas are essential to sustain the growth of our company. We believe in constant training and even give our employees a chance to run a training session. Direct Recruiters is a respected company within the search industry. Last, but certainly not least, we abide by ethics, professionalism, trust, and confidentiality in our business dealings. Without these principles, we could not succeed. 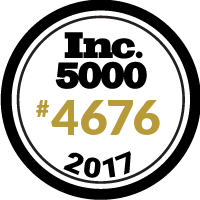 Direct Recruiters is honored to be on the #Inc5000 list for a 5th time! Thanks to our amazing team and valued clients.Thanks also @Inc5000!